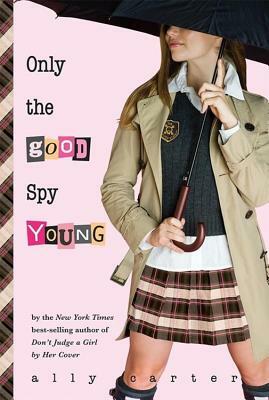 In this fourth installment of the New York Times best-selling series, the Gallagher Girls must hack, spy, steal, and lie their way to the truth.as they go searching for answers, recognizing that the key to Cammie's future may lie deep in the past. Ally Carter (www.allycarter.com) is the "New York Times" best-selling author of the first three books in the Gallagher Girls series, "I'd Tell You I Love You, But Then I'd Have to Kill You," "Cross My Heart and Hope to Spy," and "Don't Judge a Girl by her Cover"-as well as "Heist Society," the first in a brand new series. She lives in Oklahoma. Visit her on the Web at www.allycarter.com.